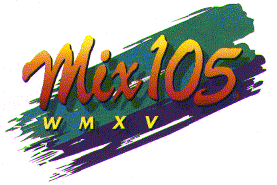 In 1996, Mix 105 began to feel the squeeze of WLTW and WPLJ. Market speculation had the station flipping to Mainstream CHR to compete against WKTU, however Z100 beat them to the punch by returning to its heritage sound. By November, the station had announced the hiring of new morning team Kelly & Kline from WTIC-FM in Hartford. On November 14th, when the morning team debuted, it did so by kicking off a brand new station. 105.1 The Buzz debuted as an 80’s leaning Modern AC, attempting to fill a niche in between K-Rock and WPLJ along with gaining listeners disenfranchised by Z100 and WNEW dropping out of the Alternative Rock genre. However, the station may have been too hip and new for its own good. Changing conditions in the marketplace failed to allow The Buzz to reach its first birthday.